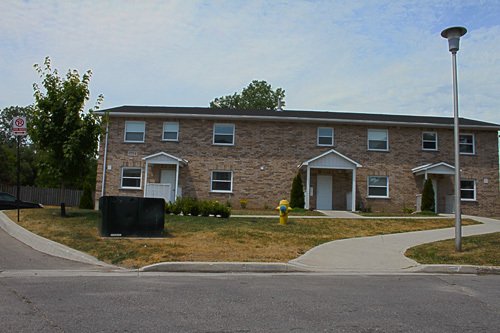 This newly developed 6 unit building was completed in 2008 under the Canada Ontario Affordable Housing Program. It has two fully accessible two bedroom units and four single bedroom units. It is home to eight physically and/or developmentally disabled tenants who are supported by the Alice Saddy Association. 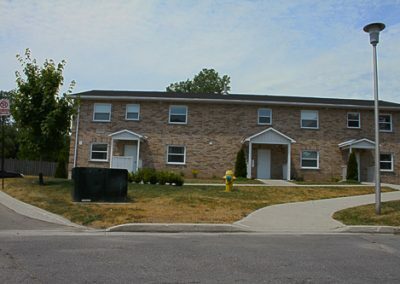 These buildings were designed and built with many components that exceed the Ontario Building Code and have many security and energy efficient features which are controlled by a micro-computer automation system. This assists in controlling the operating costs in respect to heating/cooling, hall and stair way motion sensor lighting which allows very affordable rent since all the tenants are on ODSP.